Ed Miliband met two of Ealing’s heroes as they received recognition for contribution to their communities at the House of Commons. The Local Heroes Reception took place last Wednesday (January 14) and the Labour leader was present to honour community champions from across the country. Audrey Jones, 85, of Hanger Hill, was commended for her work as a probation officer and playgroup worker. Ms Jones grew up in Notting Hill and delivered her first Labour leaflets with her parents in west London at the 1945 General Election. 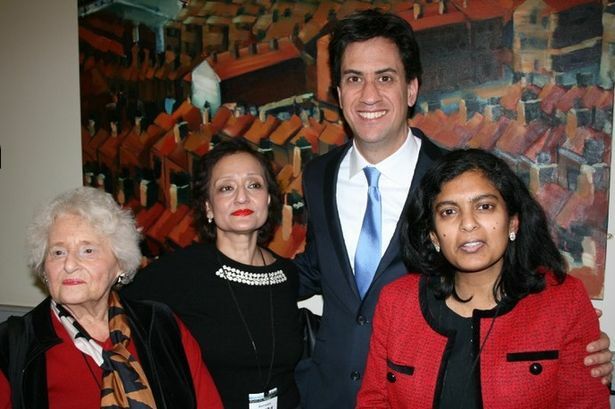 Labour’s Parliamentary candidate for Ealing Central and Acton, Dr Rupa Huq, added: “This was a great opportunity to recognise the work that both Audrey and Sharmila have done in Ealing across the sectors of child care, justice and health. It is the sort of occasion that I’m sure all attendees and certainly I will remember for years to come”.